The General Assembly passed legislation to create a single high school diploma structure in Indiana. It still allows for students to add distinctions for academic or technical honors to their diplomas. The shift aligns the state with a federal change in graduation rate calculation rules. 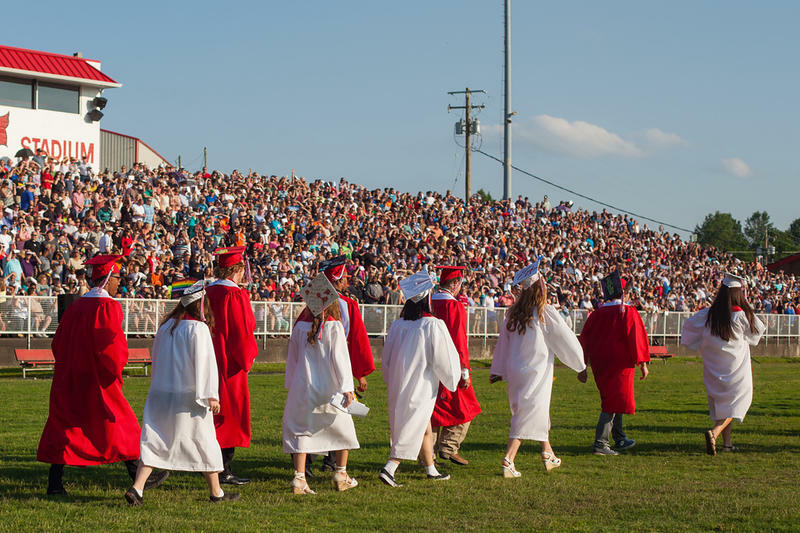 A last minute change to the bill also extends the current graduation exam requirements through the 2019-2020 school year. Sen. Dennis Kruse (R-Auburn) says then the new graduation pathway requirements kick in. "Then the following year we will use a new assessment program either the ACT or SAT,” Kruse says. It also creates an alternate diploma for students with severe cognitive disabilities. And the Indiana Board of Education will be required to consider alternatives to Algebra 2 for some math requirements. The bill now heads to the governor.